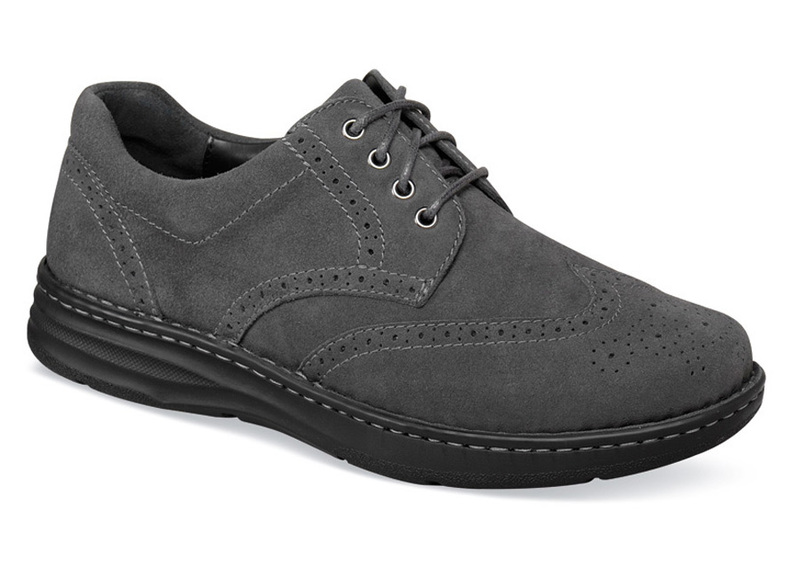 The grey suede go-anywhere “Delaware” casual dress shoe from Drew has a classic wing-tip pattern brought up to date in comfortable, easy-going suede. Like other Drew shoes, it has two removable footbeds for extra depth and fit adjustment. Linings are of Dri-Lex® and leather. Lightweight, flexible polyurethane sole with a steel shank for support. Men’s sizes 7–13, 14, 15 and 16 in 4E and 6E.